Everything under control with Smart Home. maveo smartphone app opens doors for you. maveo connects garage doors, accessories and smartphones to make your garage doors smart. Operate maveo intuitively using the maveo app on your smartphone or tablet. Setting up maveo is really straightforward. 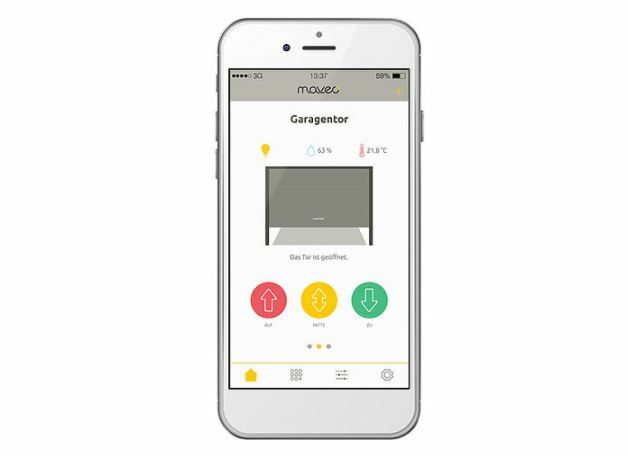 Use scenarios to conveniently tell maveo what to do when you arrive at home. Adapt maveo to your life with a few clicks through the scenarios. The maveo box is easy to expand with additional accessories, such as Philips Hue smart lighting, the Netatmo smart weather station, or the humidity sensor. Benefits of connection maveo too a NASSAU Garage door? How works maveo Smart Home App?